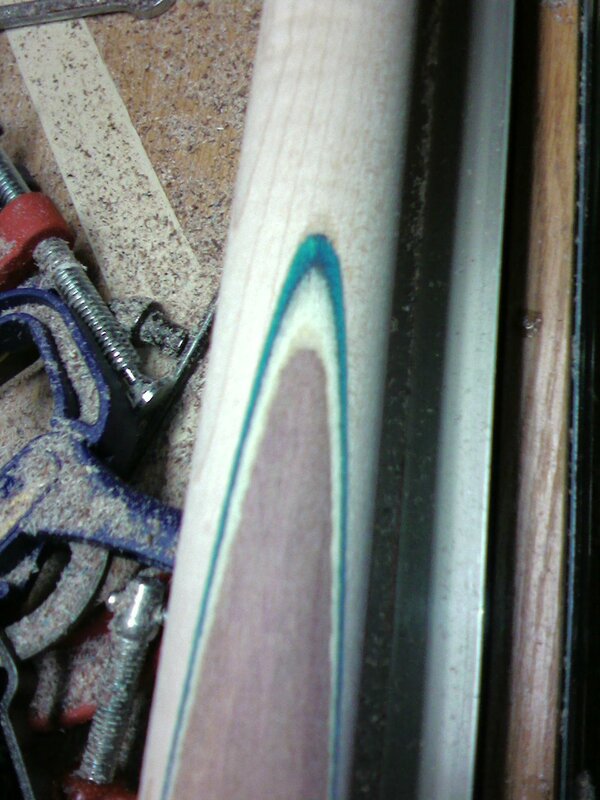 Here are a few of the cues we're currently working on. Here's the newest style of cue we have to offer. Reminiscent of the old Brunswick Butterfly house cues, we decided to replace the standard "Sneaky Pete" with this style of cue. This is the first one we made of the Butterfly Cues. It was alot of fun making. We're currently working on more of these.